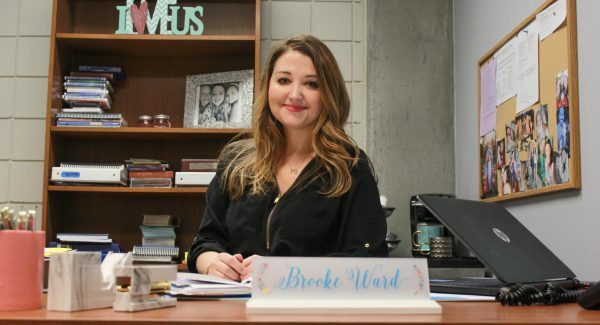 Brooke Ward is the new Director of Diagnostic Medical Sonography at Newman University. Ward, who is also a Newman alumna, began her career at the university in 2016. She said she loves being a part of the foundation that students at Newman create in their desire to be a sonographer. Ward holds an Associate of Science in Radiology Technology, a Bachelor of Science in Sonography and is also registered with the RDMS (Registered Diagnostic Medical Sonographer). She has been working in the radiology field since 2003. Ward started in the Newman radiology program herself in 2001 and after graduating in 2003 and working in the field for awhile, she began attending the Diagnostic Medical Sonography program at Newman in 2006, graduating in 2008. Ward said she looks forward to creating a program that students and the university are proud to be a part of. “It’s my goal to make these experiences integrated and interrelated for them (students),” said Ward. “Throughout the program, I’ve watched their personal and professional growth developing. This is crucial in the constant development of our healthcare community needs.